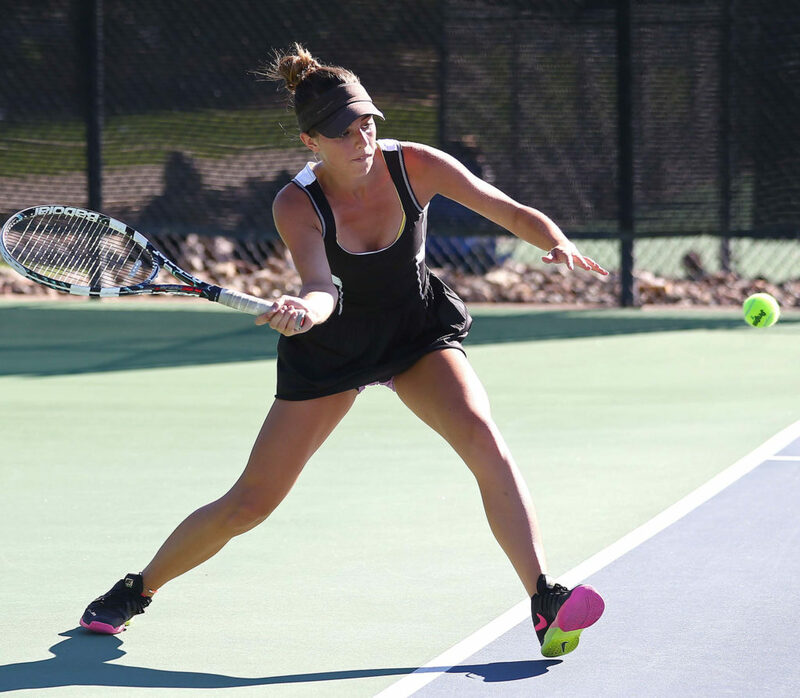 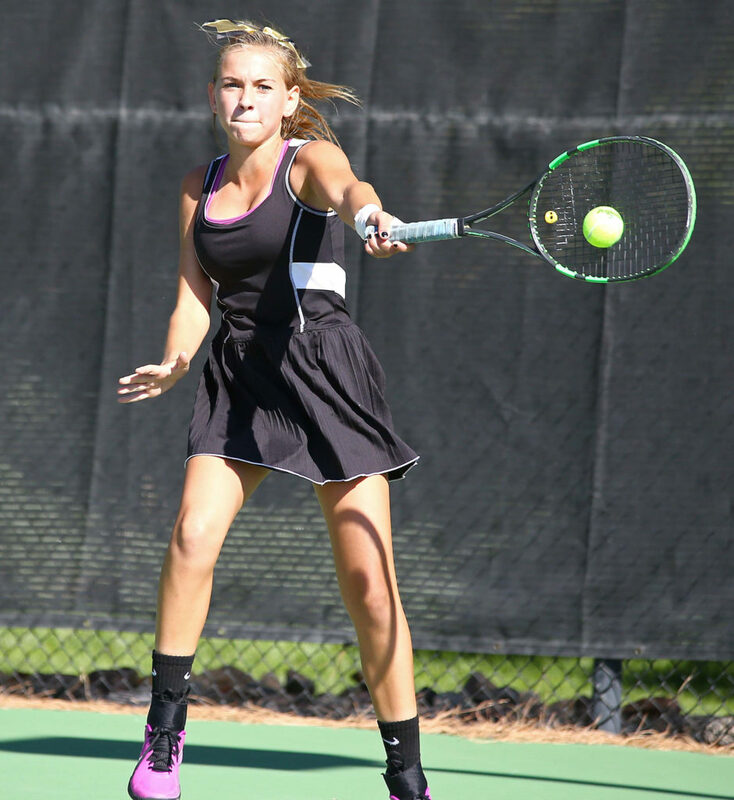 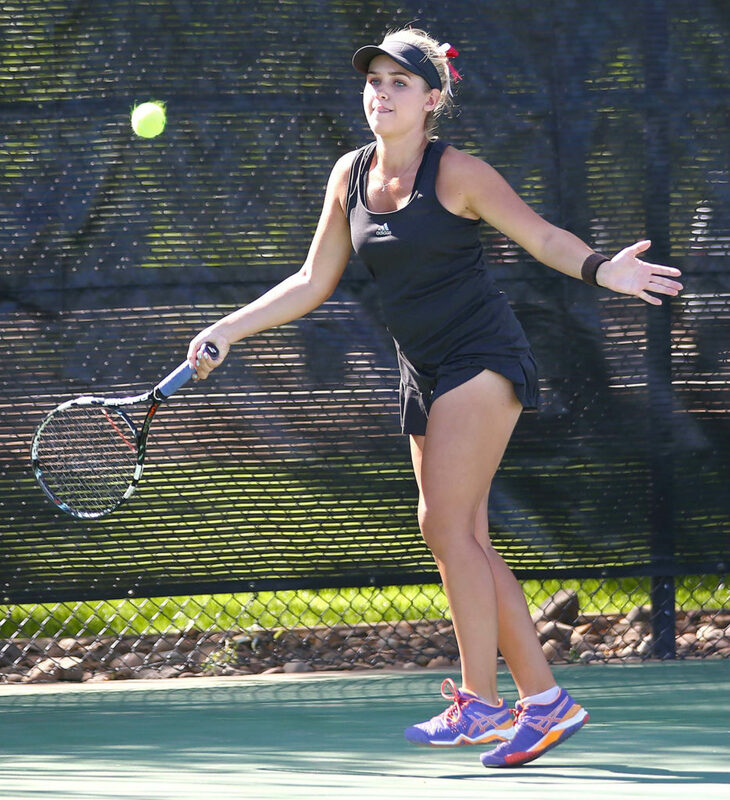 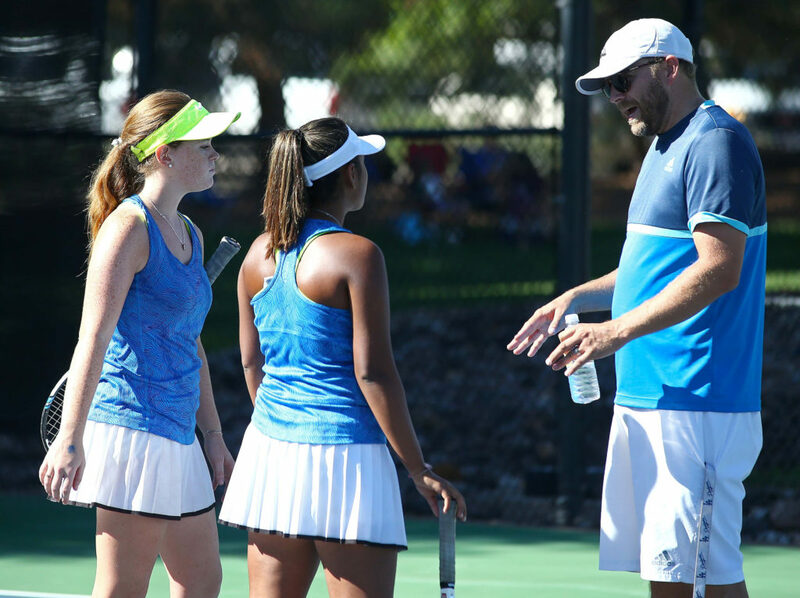 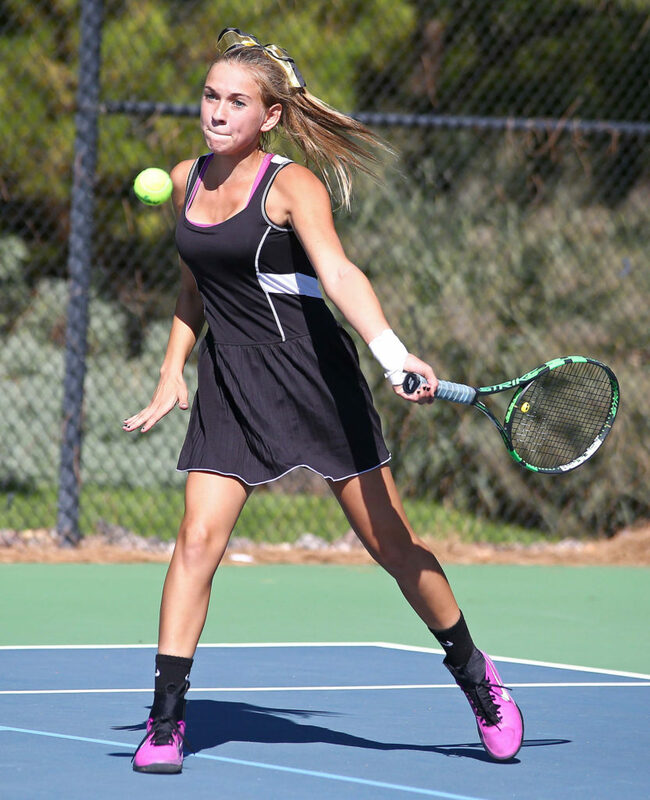 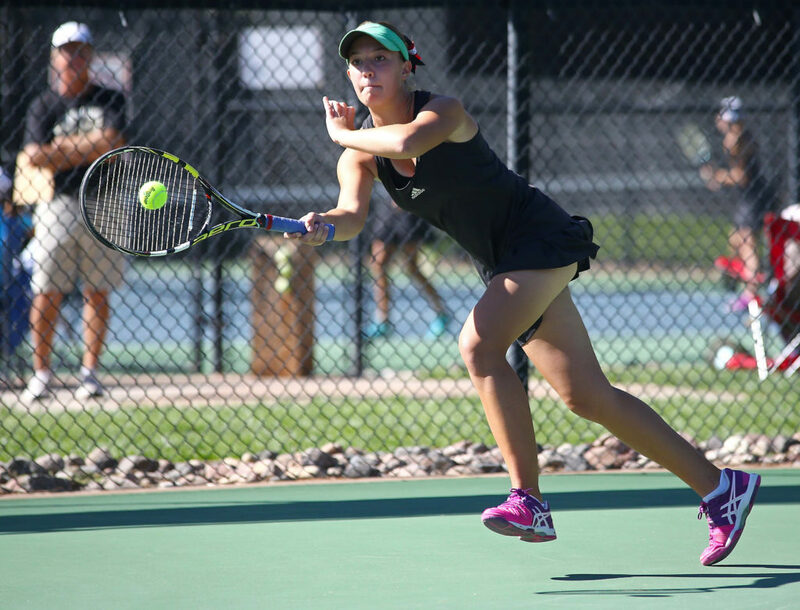 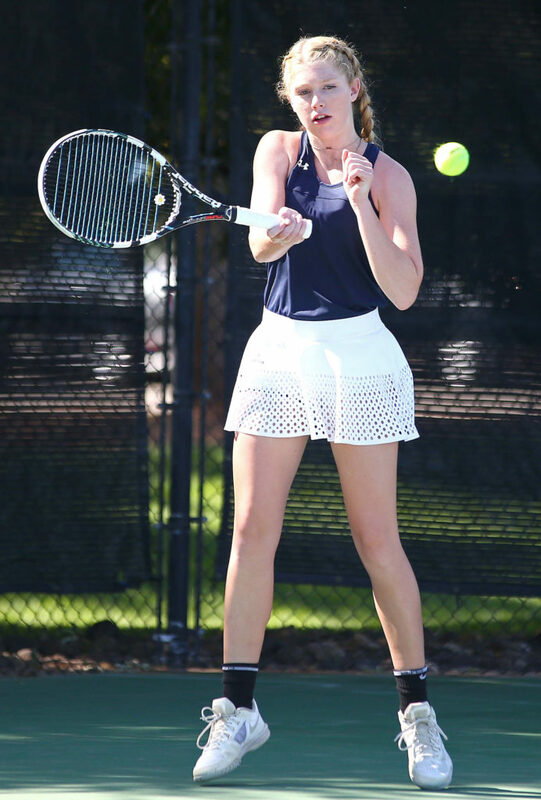 ST. GEORGE – In a season filled with trials and adversity, things finally came together for the Desert Hills girls tennis team. 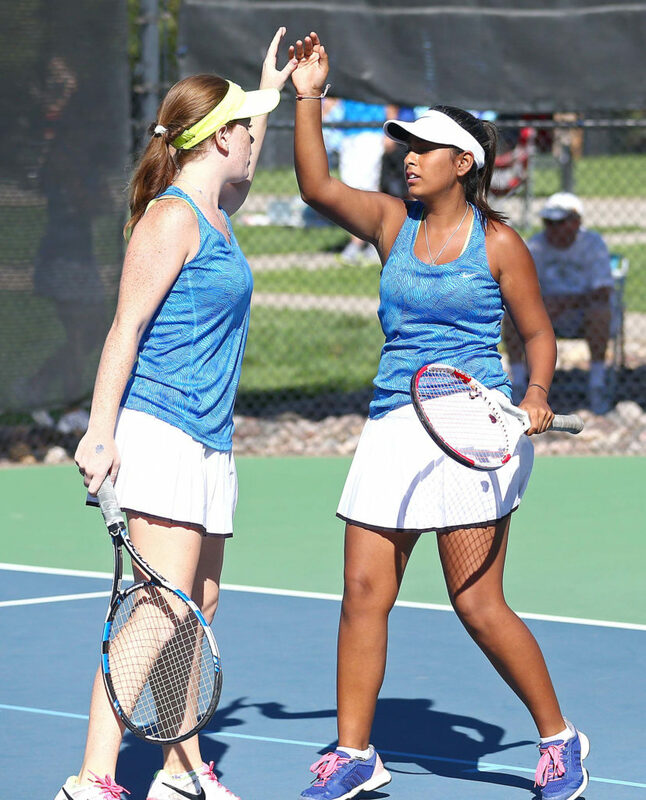 And now, the Thunder are holding the Region 9 championship trophy. 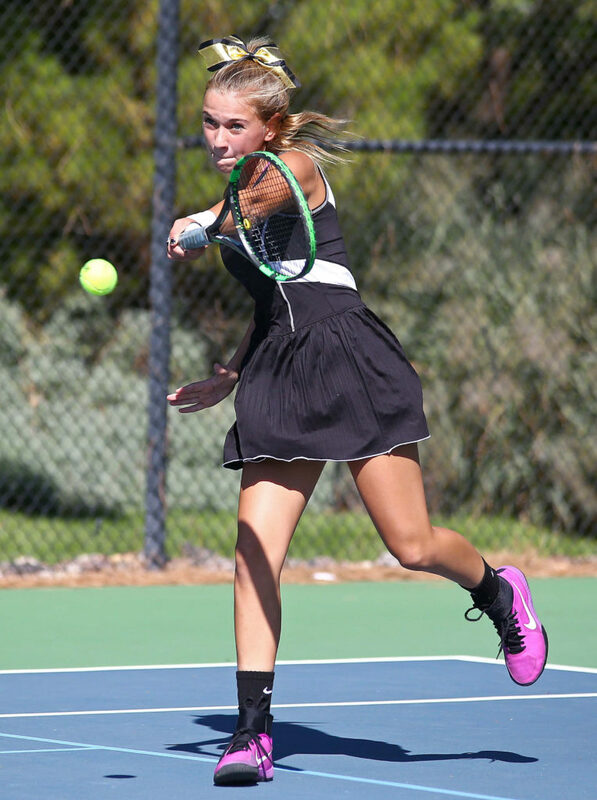 Desert Hills won 15 of 16 matches it played at the region tourney, which was played at Tonaquint Park. 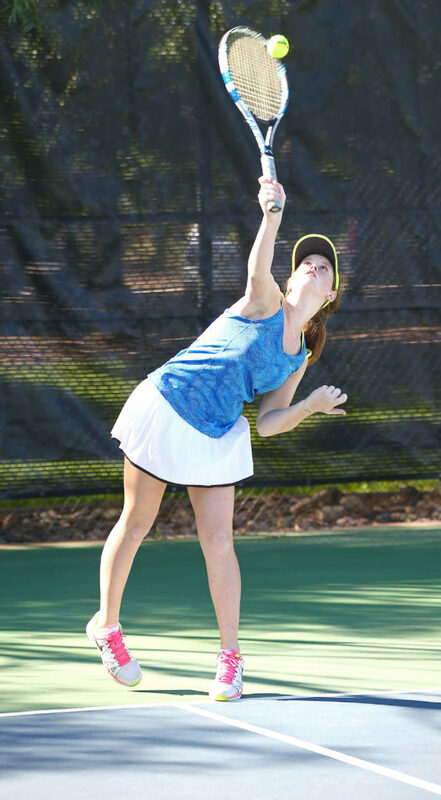 Freshman Mo Behymer led the way with the championship at 2nd singles. 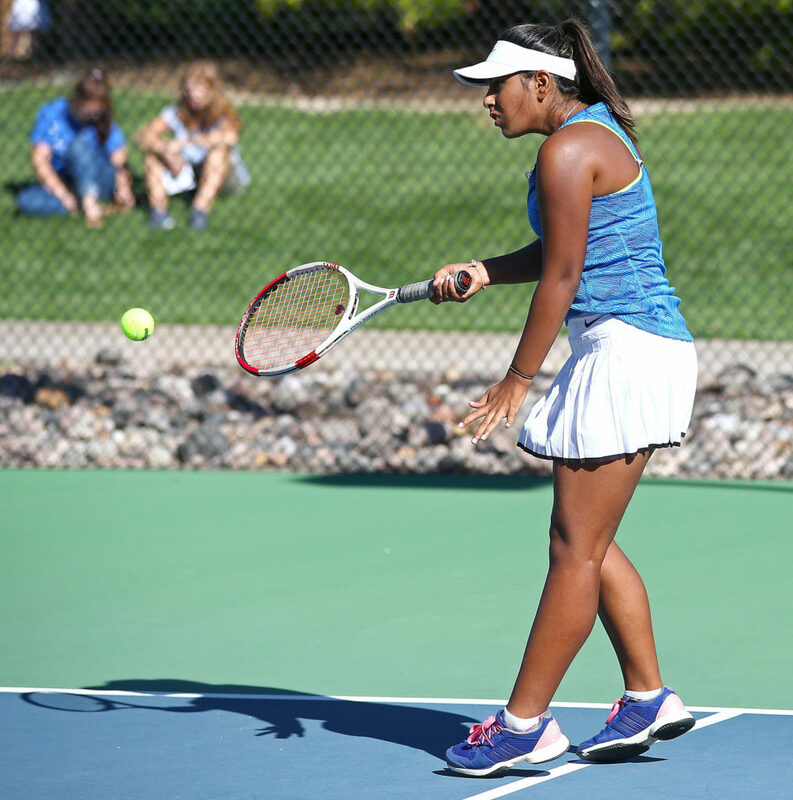 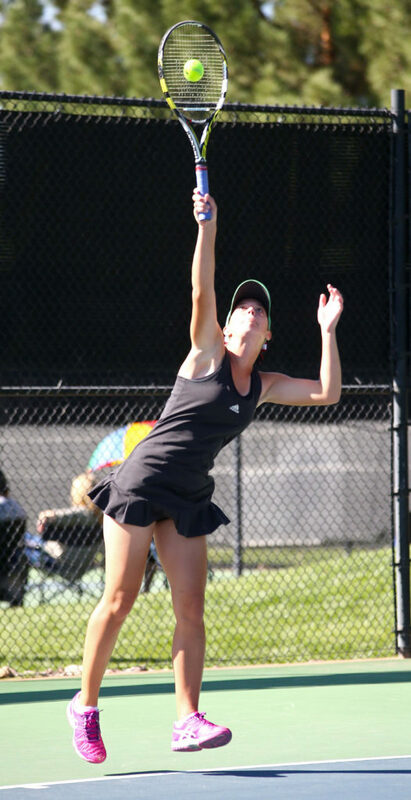 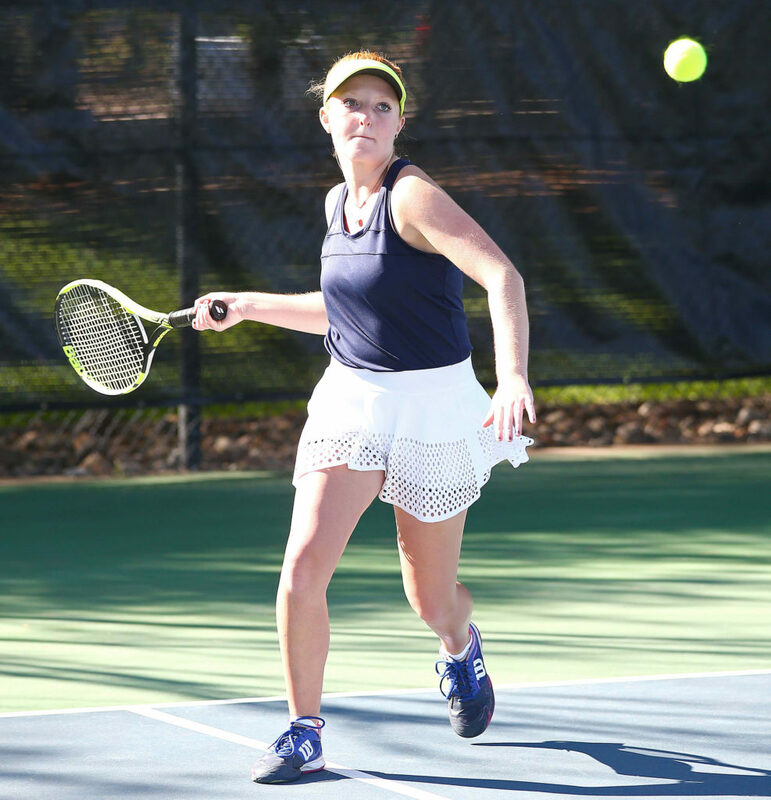 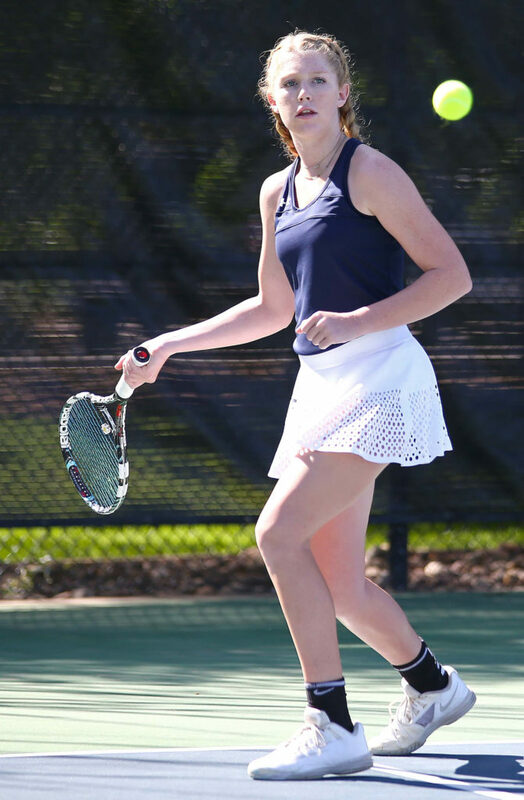 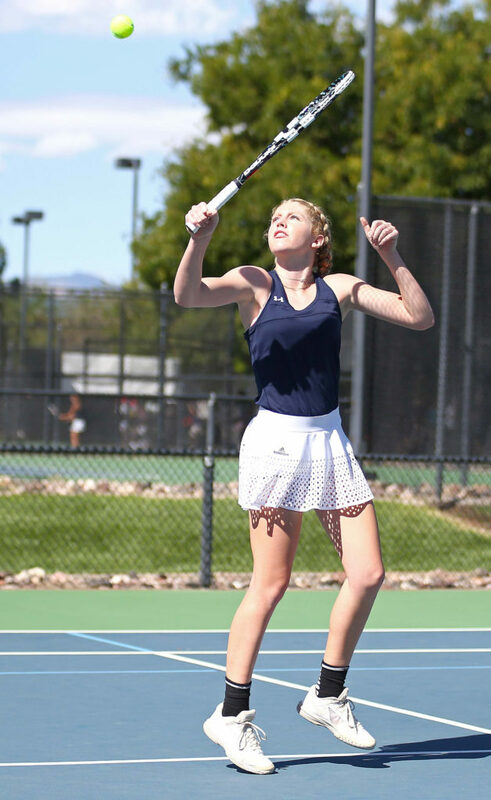 She defeated Pine View’s Brielle Callahan 6-2, 6-0. 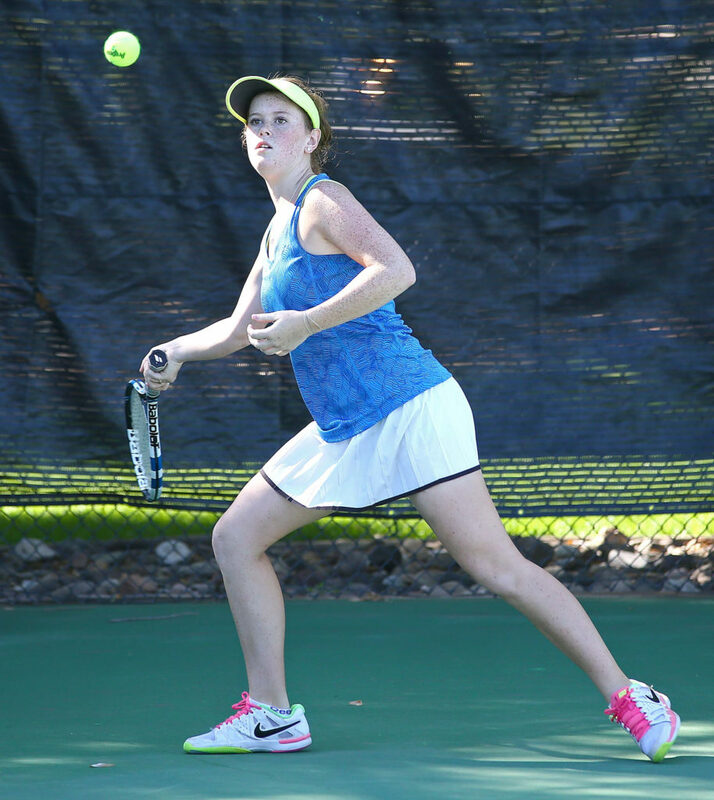 The lopsided match was a big contrast to Callahan’s win over Behymer earlier this season. 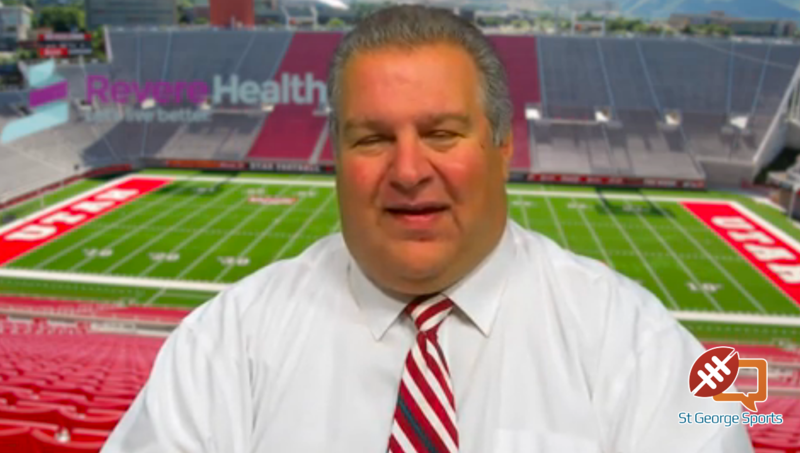 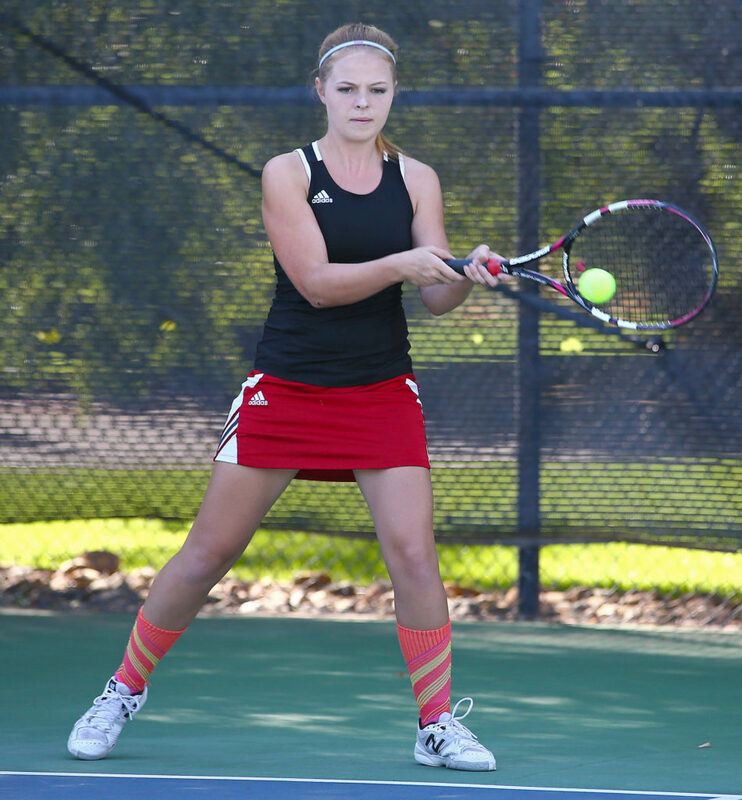 At the time, Behymer was struggling with a wrist injury. 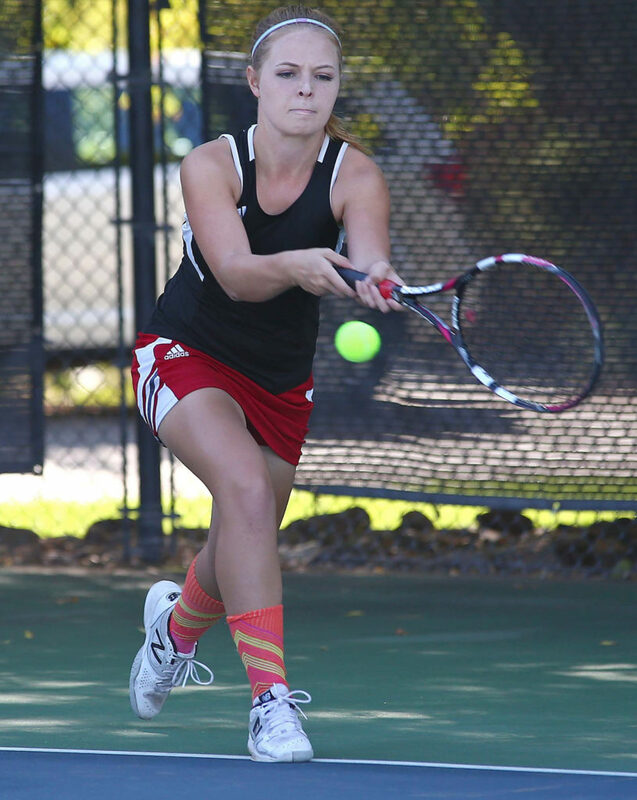 DH’s Abbie Carmack beat Hurricane’s Kaytie Werrett 6-1, 6-4 to take the title at 3rd singles. 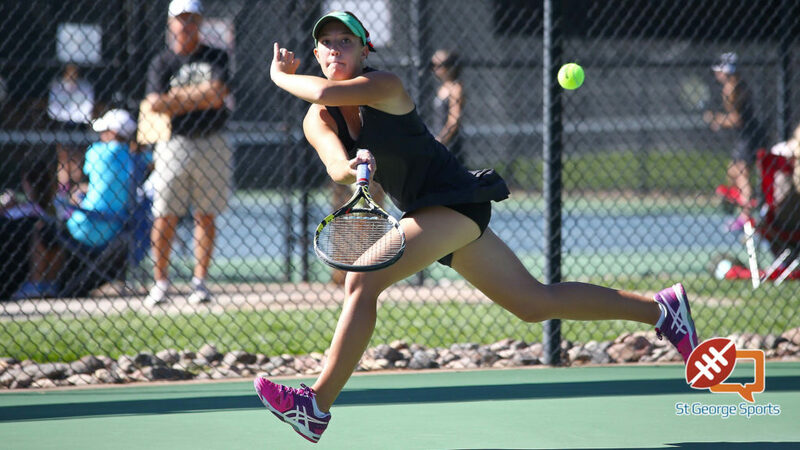 The 1st and 2nd doubles teams are both expected to do very well at state for Desert Hills. 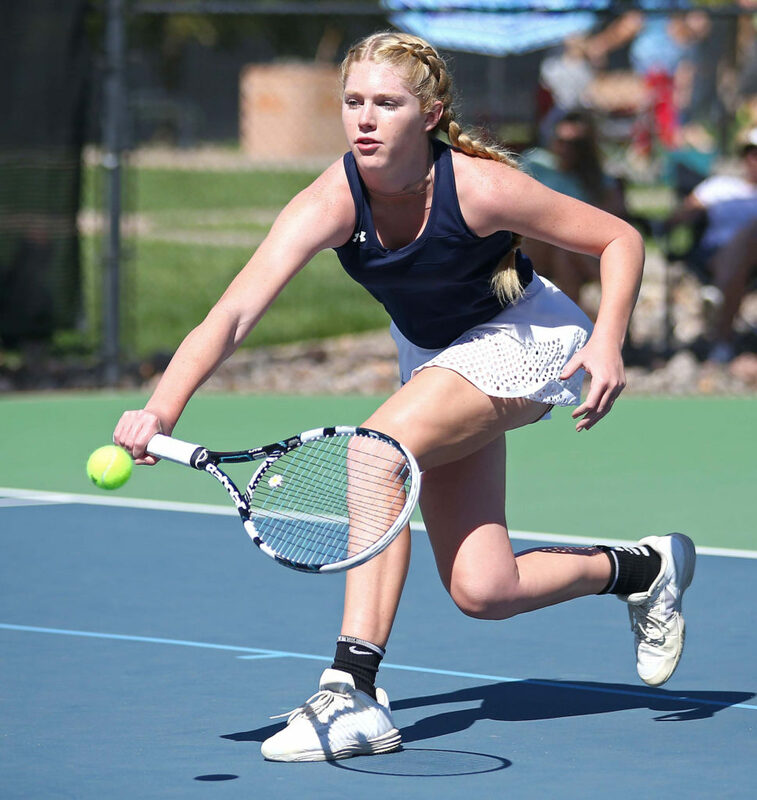 The 1st doubles partnership of Allie Beck and Alani Plumb beat Pine View’s Hannah Obrey and Charrise Snow 6-0, 6-2 and the 2nd doubles duo of Lyndsi Graf and Jocelyn Kennedy beat Pine View’s Kiralyn Mulloy and Ryann Blasser 6-2, 7-6 (8-6). 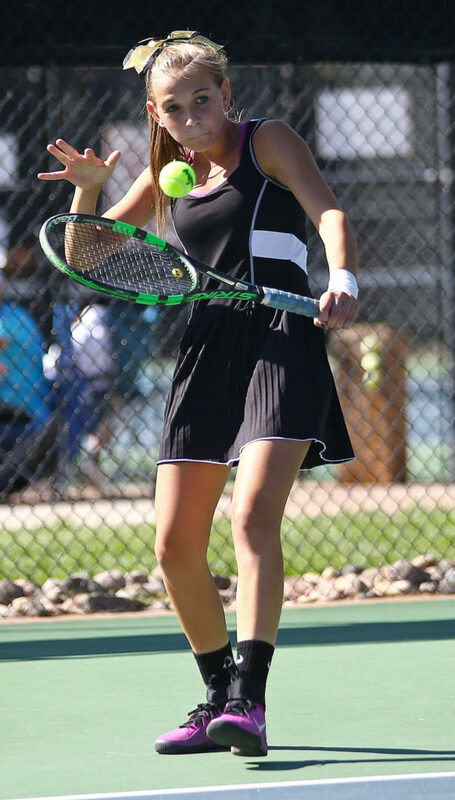 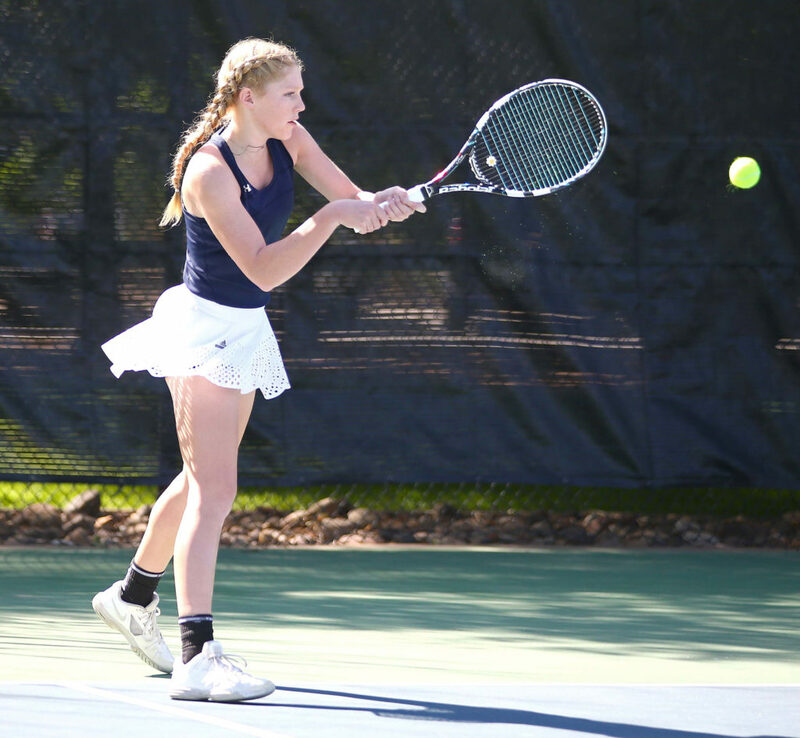 The only place DH didn’t shine was at 1st singles, where Hattie Erekson from Pine View continued her incredible season with a straight set victory over Brielle Nielsen of Snow Canyon 6-1, 6-2. 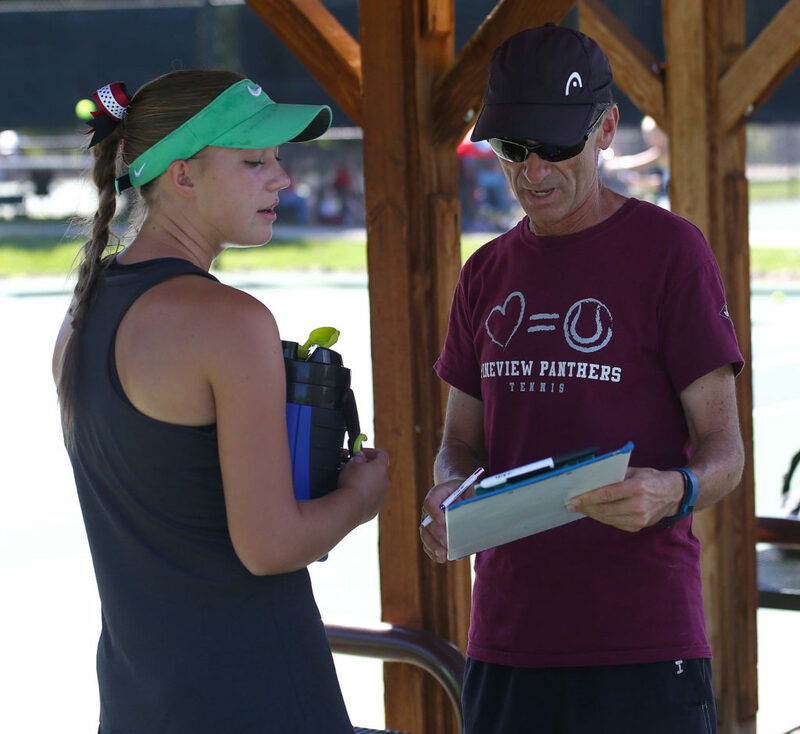 Pine View, with Erekson’s help, took second in the team race, with the Panthers placing a player or partnership in the finals of four of the five events. 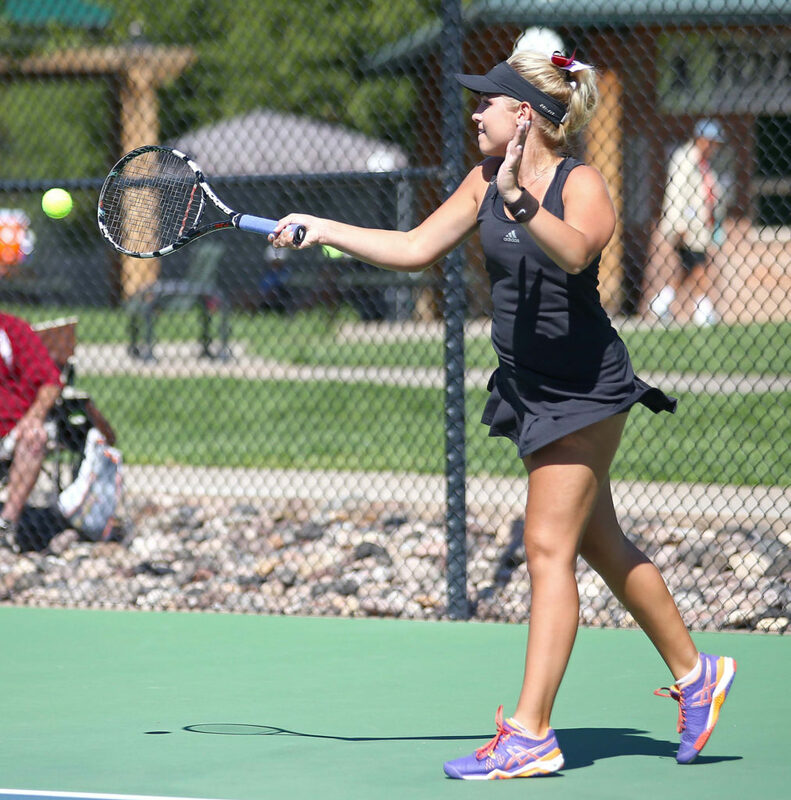 The 3A State Tournament is next Thursday and Friday at Salt Lake City’s Liberty Park, with the always powerful Park City Miners as the favorite to win it all. 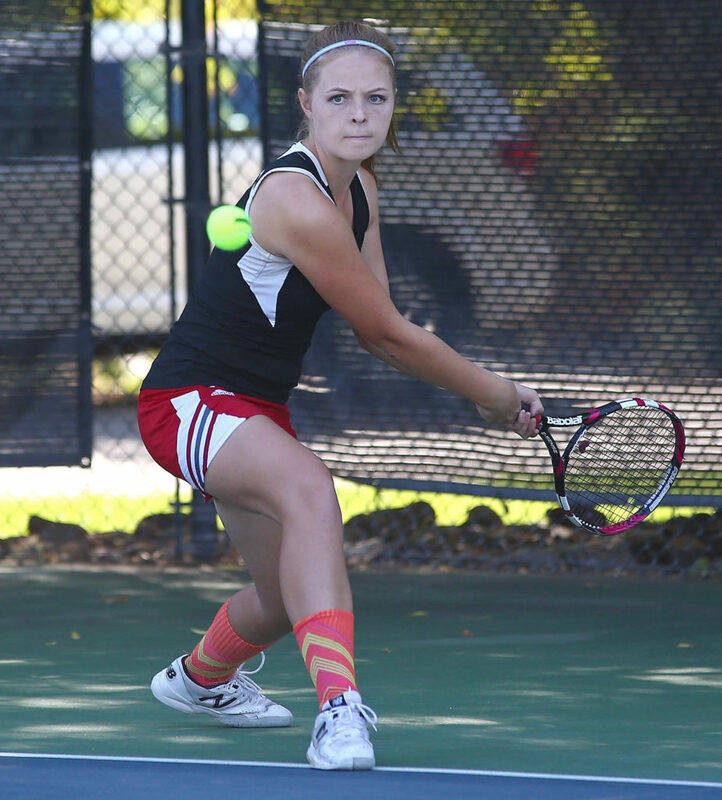 DH is strong in the doubles events and hopes to contend for the team title based on that strength.